ISBN 1495010244. 9x12 inches. Compiled and edited by Richard Walters. Contents: Antheil: Little Shimmy • Barber: Petite Berceuse • To My Steinway • Bartók: Bagatelle No. 6 from 14 Bagatelles • selections from For Children: Jeering Song, Round Dance • Creston: selections from Five Little Dances, Op. 24: Festive Dance, Rustic Dance • Hovhaness: Mountain Lullaby from Mountain Idylls, Op. 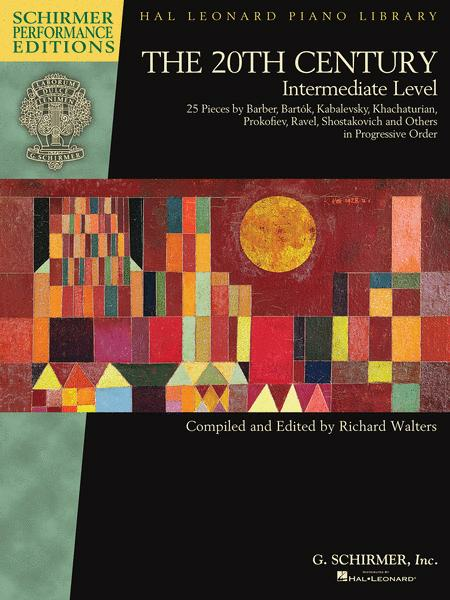 119 • Kabalevsky: selections from 30 Pieces for Children, Op. 27: Clowning, A Little Prank, Lyric Piece, The Chase, Novelette • Slow Waltz from 24 Pieces for Children, Op. 39 • Rondo-Toccata from Four Rondos, Op. 60; Prelude and Fugue in G Major from Six Preludes and Fugues, Op. 61 • Khachaturian: Ivan Sings from Adventures of Ivan • Muczynski: Fable No. 9 from Fables, Op. 21 • Pinto: Playing Marbles from Children's Festival • Prokofiev: selections from Music for Children, Op. 65: Morning, Promenade, Regrets • Ravel: Prélude • Shostakovich: Birthday from Children's Notebook for Piano, Op. 69.